An immense, interconnected network of ancient cities was home to millions more people than researchers previously thought. A group of researchers has identified the ruins of more than 60,000 houses, palaces, superhighways and other human settlements belonging to the ancient Maya that have been hidden for centuries under the jungles of northern Guatemala. This finding is a great advance in the archaeological investigation of the Mayan civilization. The discovery was made possible thanks to the use of LiDAR (Light Detection And Ranging), a device that allowed archaeologists to digitally remove trees from aerial images of Mayan cities, revealing the ruins of a pre-Columbian civilization that was much more complex and it was more interconnected than most experts believed. More than 60,000 houses, palaces, superhighways and other human settlements were revealed with the help of LiDAR. Photo: Wild Blue Media, National Geographic. The researchers scanned more than 2,100 km² of the Maya Biosphere Reserve in Guatemala, in the Petén department, resulting in the largest data set ever obtained with LiDAR for archaeological research. In addition to hundreds of previously unknown structures, the images provided by the LiDAR scan show networks of superhighways connecting urban centers, quarries and complex irrigation systems and agricultural terraces, which allowed the ancient Maya to feed hundreds of workers in charge of building the great cities that have now been discovered. 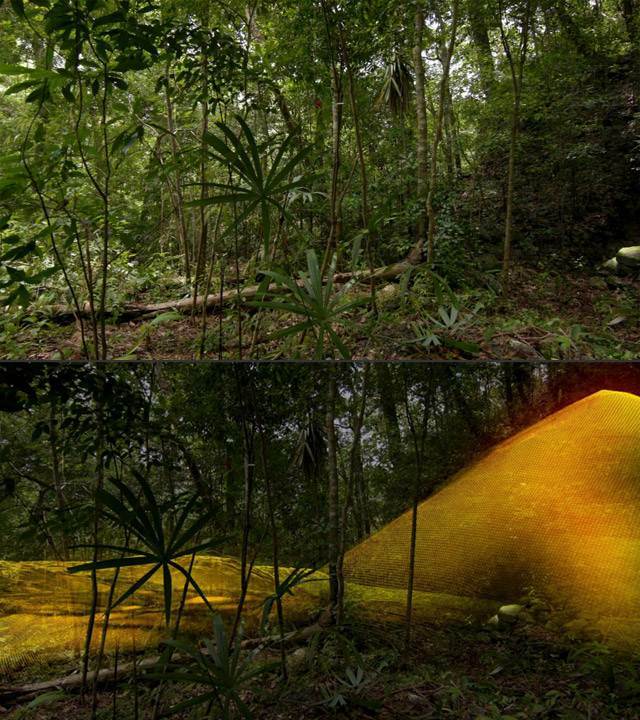 At first glance, all you can see is the thick jungle and a mound (above), but thanks to LiDAR technology in combination with augmented reality software we are able to reveal an ancient Mayan pyramid (below). Curiously, the ancient Maya never used the wheel or pack animals, however, “this was a civilization that literally moved mountains,” said Marcello Canuto, an archaeologist at Tulane University and a National Geographic explorer who participated in this research. All these results suggest that Central America housed an advanced and complex civilization comparable to ancient Greece. At its height in the Classic Maya period (250-900 AD), this ancient civilization occupied an area roughly twice the size of medieval England, but it was much more densely populated. Among the most surprising discoveries was the ubiquity of defensive walls, ramparts, terraces, and a number of fortresses. The new investigation also revealed thousands of pits dug by looters. “Many of these new sites are new to us, but they are not new to looters,” said Marianne Hernández, president of the PACUNAM Foundation, a Guatemalan nonprofit organization that promotes scientific research, sustainable development and the preservation of cultural heritage. Environmental degradation is another concern. Guatemala is losing more than 10 percent of its forests annually, and habitat loss has accelerated along its border with Mexico to the illegal burning and deforestation of land for agriculture and human settlements.